The scenes are woven together to tell a new but familiar – tale of love, jealousy, and madness, storms, pirates, and a jolly good happy ending! 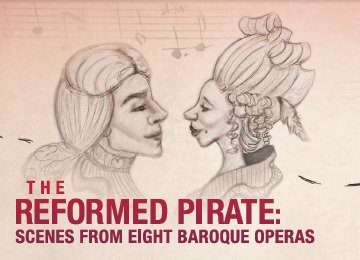 With music by baroque masters Handel, Rameau, Marais, Purcell, and more. New York City’s show-stopping baritone Curt Olds – familiar to Anchorage audiences as the Pirate King – returns to Anchorage! Joining Curt is an all-star lineup of familiar AFM vocalists and instrumentalists, with narration by KLEF’s Jon Sharpe. Space is limited. Purchase early to ensure your seats! Experience AFM’s signature hospitality and meet the performers at an elegant post-concert reception.